total precipitation for each month. A value of "0" means the month precipitation total was normal. indicates above (wetter than) normal for the specific month. 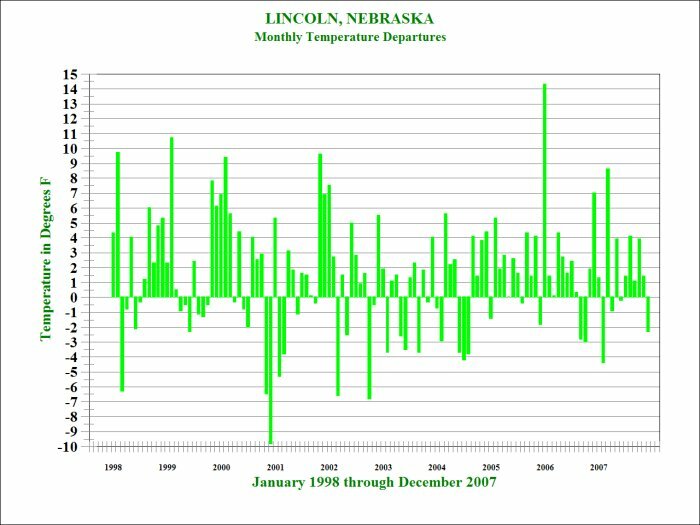 There were 120 months during the January 1998 through December 2007 time period.